One of the classic villains from Nightwing's past shows up in Bl�dhaven looking to use his brute force to exploit the city's crime syndicates for protection. But it's this rogues intellect that is going to be his real weapon in taking over Nightwing's town. It's up to the former Robin to stand up to this longtime nemesis, and he'll have to use not only physical but also mental strength to take on this deadly and cerebral foe. 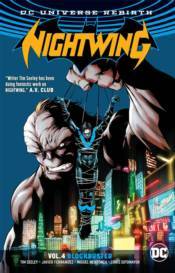 Collects NIGHTWING #22-28.